Adopting their name from William Frederick "Buffalo Bill" Cody, a U.S. soldier who hunted bison, the Bills are easily one of the most beloved franchises in the NFL. If they really do move to Canada (we say no way, eh! ), expect to see a mourning city that will make Brooklyn in &apos;57 look like a holiday parade. 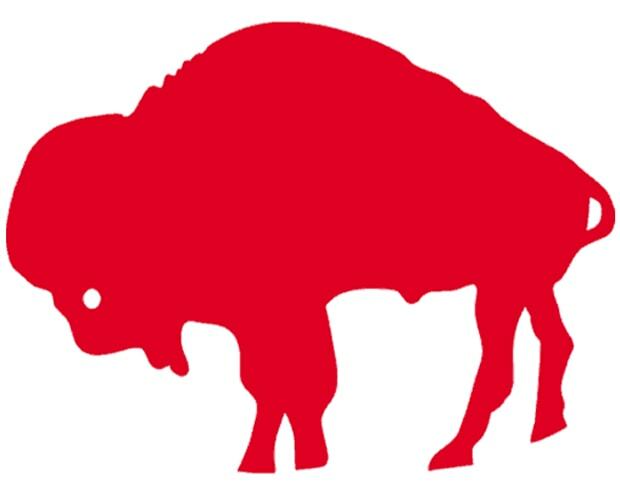 The current logo is sported on clothing more regularly than the one in question, but the red buffalo facing left is simple and makes a statement.